Maneki Neko Luck Cat - Keychain - Maneki Neko Cats, Everyone needs a little luck in their life! 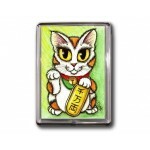 Thes..
Maneki Neko Luck Cat Magnet - Maneki Neko Cats, Everyone needs a little luck in their life! These ad..
Maneki Neko Luck Cat - Ring - Maneki Neko Cats, Everyone needs a little luck in their life! 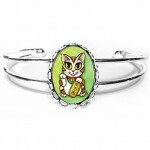 Th..
Maneki Neko Luck Cat - Bracelet - Maneki Neko Cats, Everyone needs a little luck in their life! Thes..
Maneki Neko Luck Cat - Earrings - Luck kitty is in traditional tricolors (Calico, Tortie &..
Maneki Neko Luck Cat - Bookmark - Maneki Neko Cats, Everyone needs a little luck in their life! 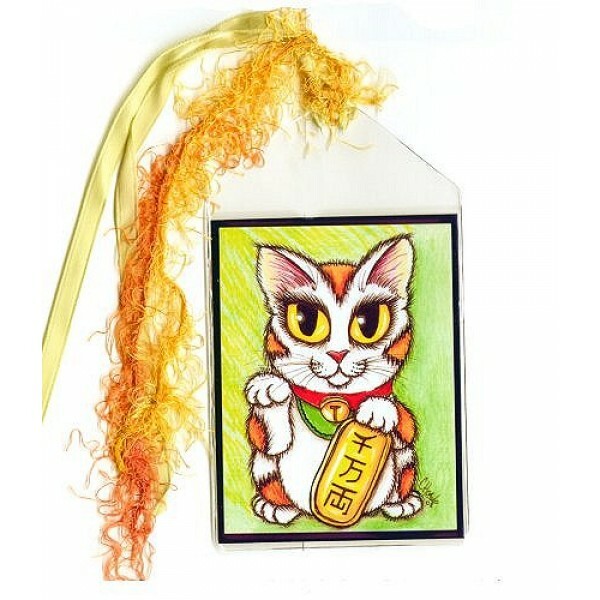 These adorable little Japanese Beckoning Lucky Cats are said to bring good luck to their owners! 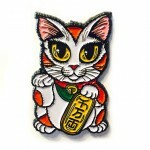 Luck kitty is in traditional tricolors (Calico, Tortie & White) like the Japanese Bobtail cat. 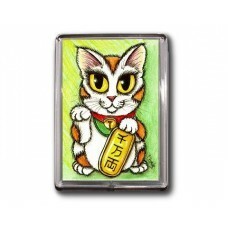 With his raised right paw and koban coin he brings good fortune to his owner. 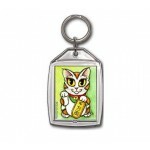 Maneki Neko Luck Cat - Keychain - Maneki Neko Cats, Everyone needs a little luck in their life! These adorable little Japanese Beckoning Lucky Cats ar..
Maneki Neko Luck Cat Magnet - Maneki Neko Cats, Everyone needs a little luck in their life! 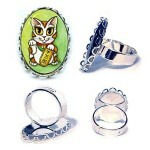 These adorable little Japanese Beckoning Lucky Cats are sa..
Maneki Neko Luck Cat - Ring - Maneki Neko Cats, Everyone needs a little luck in their life! These adorable little Japanese Beckoning Lucky Cats ..
Maneki Neko Luck Cat - Bracelet - Maneki Neko Cats, Everyone needs a little luck in their life! 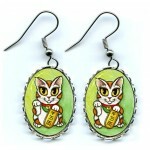 These adorable little Japanese Beckoning Lucky Cats ar..
Maneki Neko Luck Cat - Earrings - Luck kitty is in traditional tricolors (Calico, Tortie & White) like the Japanese Bobtail cat. 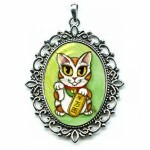 With his ra..
Maneki Neko Luck Cat - Cameo Necklace - Luck kitty is in traditional tricolors (Calico, Tortie & White) like the Japanese Bobtail cat. 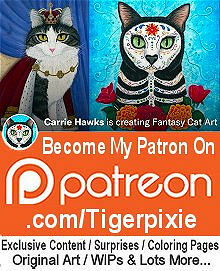 With his ra..